You’ve seen the exorbitant prices, even with the 5% rebate, now it’s time to see the new toys in action. 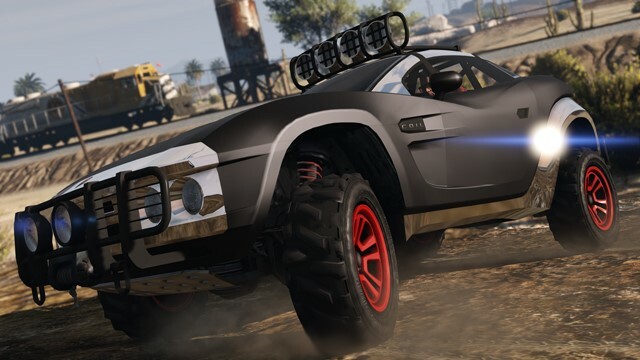 GTA Online players everywhere got the Ill-Gotten Gains Part 2 DLC today as part of a free patch to GTA 5. The patch adds a few new vehicles, weapons, outfits, and more. Most GTA Online players may not even get the chance to use these toys, because look at those prices! But what you can do, is admire them from a distance. YouTube channel TheWeeNemo put together videos showcasing each one of them, and we’ve embedded them below. First up, the Progen T20, which costs $2.2M. Coil Brawler is an off-road vehicle that’ll run you $715,000. See how it can be customised here. And the BlackFin variant of the Invetero Coquette, at $695,000. Now for the Vapid Chino, the cheapest vehicle, at $225,000. Dinka Vindicator will run you $630,000, and it’s the only new motorbike.